Bf 110G-4 serial number 160594 hit JU 88 at Fliegerhorst Grove 6/1 1945. T/o Grove ?. Op: Operational flight. 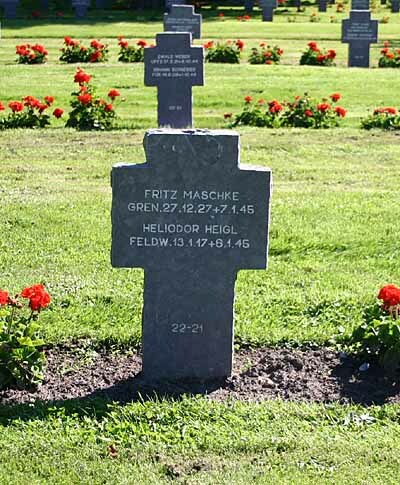 The Bf 110G-4 had landed at Fliegerhorst Grove when the pilot lost control. The Bf 110 hit an Ju 88 and Pilot Feldwebel Heliodor Heigl died. 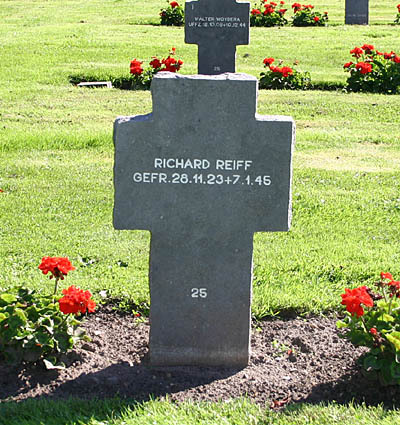 Gefreiter Richard Reiff and Unteroffizier Theodor Geisel were both wounded and died on the next day. 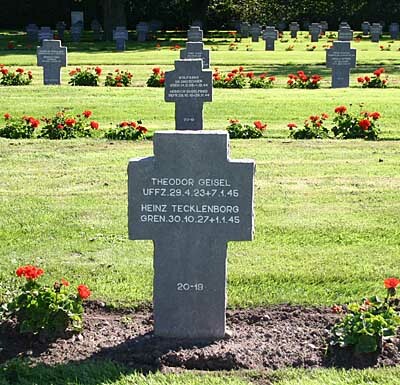 They were all three laid to rest in Esbjerg Fourfelt cemetery on 11/1 1945.